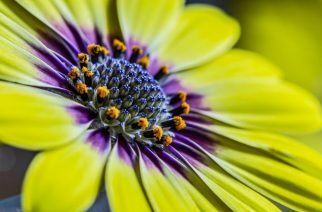 The country’s most prestigious garden awards have been announced this morning at The Melbourne International Flower & Garden Show presented by Lawn Solutions Australia. 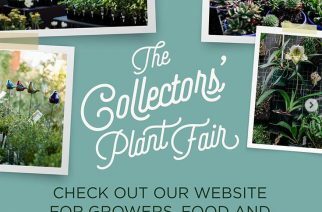 The awards herald the launch of the southern hemisphere’s largest garden and floral event, which runs for five days in the sprawling grounds of Carlton Gardens and the interior of the historic Royal Exhibition Building. The City of Melbourne Award of Excellence for Best In Show was presented to Tract Consultants’ ambitious The Loggia garden, which seamlessly combines dry climate species from both Australia and the Mediterranean. Warm terracotta tiles provide a striking juxtaposition to green swathes of native and exotic plant life. The Loggia is a clever coalescence of romance and practicality, heroing hot climate planting as a nod to a more sustainable future. Head Show Garden judge Andrew Laidlaw said, “As a collective group of gardens the standard is as high as it’s ever been in the history of the show”. 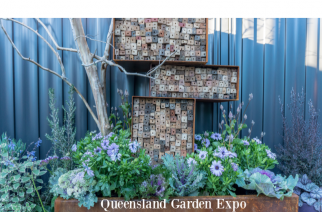 Melbourne International Flower & Garden Show Event Director, Marcus Gale commented that the Show continues to attract the best design talent from Australia and overseas to create truly exceptional Show Gardens and feature displays. “Every year we are awestruck by the imagination showcased by our landscape and floral designers, and 2019 is no different,” said Gale. “Each garden and floral installation is not only visually arresting, but our new charity partnerships with Beyond Blue and Guide Dogs Victoria encouraged designers to add another dimension to the creations. The judging panel revelled in seeing displays that carried a strong message, as well as being aesthetically brilliant”. Whilst the Show runs until Sunday 31 March 9am – 5pm daily, this Friday evening, The Melbourne International Flower & Garden Show presented by Lawn Solutions Australia extends its hours for a floral-inspired twilight session. In addition to witnessing the best gardens and floral designs the country has to offer, Gardens by Twilight is a convergence of local live music sets, roving entertainment, impressive lighting displays and boutique food and beverage bars – running until 9pm.